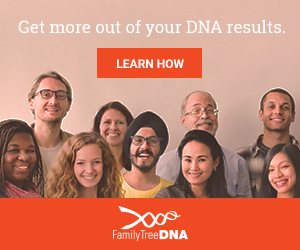 Is There Any Benefit to DNA Testing? People say “Why should I have my DNA test done? I guess not knowing is good for some people, but I am one of those who always wants to know, even if I don’t like the answer. Genetic testing has so many potential benefits, whether the results are positive or negative for any gene mutations. As in my case it told me to never take blood thinners. It was a little late, since I had already had two life threatening bleed-outs, one in 2014 where I had to be airlifted to UTSW in Dallas. Had that not have happened, I am sure I would not be here today to tell you about this. Also, in 2017 another one that only by the Grace of God did I make it to the hospital in time. Needless to say, I no longer take any doctors advise to take a blood thinner. This is all information that was in my DNA and if I had only known. DNA Tests can provide you with the information you need to make the best decision when managing your health care. It can give you a sense of relief also from things you may know about your ancestors again, as in my case, my grandfather on my father’s side died from multiple sclerosis at 44. Fortunately, while I have that gene the likelihood that it would be a problem is very small. If you have a positive result for some disease that seems likely to be a problem, you can have screening tests and preventative monitoring or treatment. Some test results can also help people make decisions about having children. If you are a carrier of, for instance, cystic fibrosis, you can have your mate tested prior to having children to know the likelihood of your offspring being affected. I don’t know how soon the possibility of the CRISPR technique will be available to edit out unwanted genes, and whether you feel this is playing “GOD”, but it is my feeling that God gave us this knowledge and he doesn’t want any of us to have the kind of life that comes with one of these truly horrible diseases. It’s kind of like standing in the path of a tornado. Do you do what is right to avoid it or just stand there and say God will take care of me. Newborn screening can identify genetic disorders early in life so treatment can be started as early as possible.